Editor's Note: Jessica Rizk is a sophomore student at Boston University. She's interested in a career in Communication and interned with Connect the World and CNN Arabic this summer in the UAE. She wrote the following piece as she gets ready to start the new academic year. Orientation week at college is just like speed dating. You’ve got two minutes to make a killer impression and collect as many numbers as you can. You’ve also secretly prepared flashcards for whatever questions these kids may hit you with. When I first moved into the dorms, I wore my best outfit and doused myself in enough perfume to repulse freshmen at the other end of campus. I was ready. For the next couple of days, that seemed to be the trending question. I fell into a bit of an identity crisis shortly after. I was only about a month old when I boarded my first flight. Since then, every plane ride has been a step farther away from home. 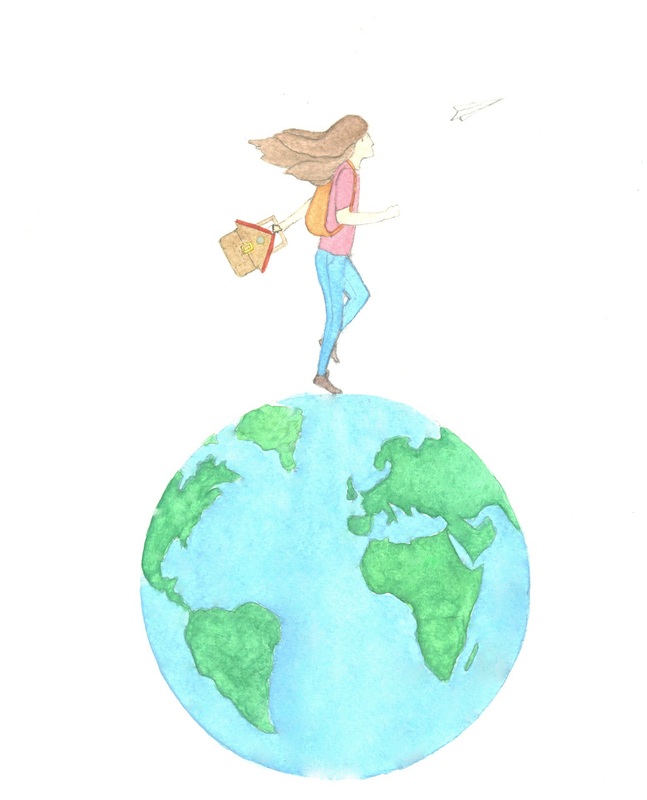 If I had to put a label on it, I’d say I am a Third Culture Kid (TCK). In the 1950’s, sociologist Ruth Hill Useem coined this term to describe children who have lived outside their native land and grew up experiencing various customs. Ultimately, TCKs are as close to identifying with many cultures as they are to identifying with none. Third Culture Kids can be thought of as a growing offspring of globalization—they’re children of the world. Their accent is as wide-ranging as the stamps in their passport(s) and their conduct largely depends on whatever culture they are surrounded by. In the book Third Culture Kids, David Pollock examines the effect of growing up cross culturally. He claims that these children develop into adult TCKs in a manner that is different from those who were born and raised in one place. Take Emily Hartwell, for example. If you ask Emily where she is from, she will not only say she is from the United States, but narrow it down to New Hope, PA. No hesitation, nothing. She spent her entire childhood in one house and has always been surrounded by familiar faces. The difference between Emily and TCKs is that she is absolutely certain of her identity. No matter where she is, she’s got a string in her back that stretches all the way back to her “home base,” as she calls it. Jad Soubra, on the other hand, does not. Jad is half Lebanese, half English. He grew up in the United Arab Emirates and is currently studying between France and England. When I asked him some questions about his cultural ties and personal identity, unlike Emily, Jad responded with multiple long pauses and hesitant replies. There is clearly a struggle with TCKs to find a sense of belonging with a single place. However, despite their inability to pin themselves to a single nation, they do feel connected to each other. Their nationality is their mutual uncertainty. If you see someone walk into an airport like they own the place, chances are they’re a TCK. Their suitcases are on the verge of crumbling and they’re normally in a corner planning a jet lag strategy that will doubtlessly fall apart as soon as they land. Their dinner table looks like it's been torn out of the pages of an international cookbook and they feel nostalgic no matter where they are.